The eighth annual National School Choice Week kicked off Sunday and 7 million people are projected to take part in a record number of events to advance educational opportunities for children. National School Choice Week runs through Jan. 27, and more than 32,000 events are scheduled across all 50 states—the highest number since its inception. Lawmakers, students, parents, and advocates are among those who will participate in events highlighting educational choice. "School Choice Week has grown from 150 events and activities in 2011 to 32,240 events and activities in 2018," said NSCW president Andrew Campanella in a phone interview. "The goal of SCW is to let parents know they have choices when it comes to their children's education." Campanella attributed the growth in the NSCW to "enthusiasm" by schools, community organizations, home school groups, and others that recognize the benefits of school choice and want to "promote what makes them unique and what benefits their communities." A record 605 official proclamations were issued as of Friday afternoon recognizing the week of Jan. 21-27 as School Choice Week, according to NSCW's press secretary. The proclamations were issued by 28 governors, 484 city officials and mayors, and 93 county officials. According to Campanella, more American children than ever before "are learning in an environment specifically chosen by their parents." Additionally, more Americans support school choice. 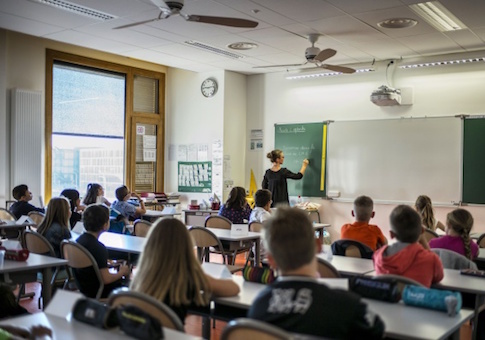 A new poll conducted by Beck Research for the American Federation of Children shows a majority of Americans—70 percent—support the concept of school choice and 75 percent support public charter schools. "Throughout the past year, the teachers' unions have spent untold millions of dollars attacking the notion that students should be at the center of the discussion around education reform. Frankly, they wasted almost all of the money that they took from their dues-paying members," said Tommy Schultz, national communications director for the American Federation for Children by email. "School choice remains one of the few issues in 2018 that Americans, regardless of their ideological, geographic, racial, or ethnic backgrounds, can rally together on," said Schultz. Shultz pointed out that an overwhelming majority of Americans across all political lines and ethnicities favor school choice. "As our National School Choice Poll shows, everyone from Republicans to Democrats, Independents, Latinos, African Americans, whites, and Millennials all support the concept of school choice, and often with overwhelming margins in favor of it," said Schultz. "National School Choice Week is the perfect opportunity to remind those in power that Americans simply want the freedom to choose the best school for their child, so that everyone—not just those who can afford it—can have access to a great quality education." Colorado, for instance, will spotlight students from low-income families who benefited from attending a school of their choosing. More than 3,100 low-income students in the state received tuition assistance that allowed them to enroll in a private school they selected through ACE and other scholarships. Diana De La Rosa, one of those low-income students, is now a junior attending Arrupe Jesuit High School in Denver. "I knew that Arrupe Jesuit High School was the school for me since the day I shadowed an Arrupe student during my 8th grade," said De La Rosa in an email to the Washington Free Beacon. "However, I thought I would not be able attend Arrupe due to the financial costs, but with the financial assistance from ACE Scholarships I was able to attend the school of my choice." "Arrupe is preparing me to go to college and to one day become a successful journalist. I hope that one day all students are able to succeed and pursue the education of their choice regardless of their financial situation," De La Rosa said. "For thousands of Colorado children, the best educational option is a private school. However, most low-income parents can't afford the tuition without assistance," said Pam Benigno, director of the Independence Institute's Education Policy Center. "During National School Choice Week, we are giving a special ‘shout out' to K-12 scholarship organizations and their compassionate donors who have invested millions of dollars in scholarships so that needy students are given a chance to reach their full potential." This entry was posted in Issues and tagged School Choice. Bookmark the permalink.